For most busy families reaching for junk food is fast and convenient. However, most packaged foods are full of sugar, sodium and harmful chemicals. Our children may refuse to eat any healthy foods that parents offer if they are accustomed to eating junk food. The makers of Superberries Gummy Chews understand today’s parents’ needs for a healthy, delicious and convenient snack for their children. The company’s Aroniaberry fruit gummy chews combine the sweet-tasting flavor children crave with the health benefits of antioxidants. A diet rich in antioxidants can help maintain good health. Aroniaberry gummy chews are perfect for school lunches and after school snacks. Superberries are made from the antioxidant-rich Aroniaberry. Aroniaberries have over three times more antioxidant power than blueberries. 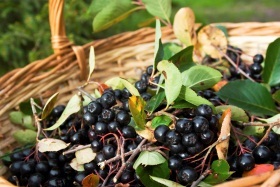 Also known as the Chokeberry, Aroniaberries are native to North America and Native Americans used these berries for their health and wellness benefits. 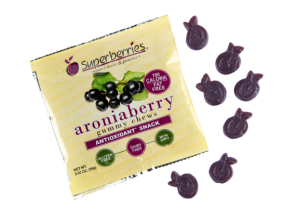 My children love Superberries Aroniaberry Gummy Chews and I love the convenient 100 calorie packets. Superberries gummy chews also come in a 16 oz family pack. They are non GMO, gluten and dairy free. Superberries gummy chews are available in health food and grocery stores, and online at www.superberries.com. *Disclosure: I received Aroniaberry Gummy Chews – 100 Calorie Pack 12 OZ and Aroniaberry Gummy Chews Family Pack in exchange for this review. All opinions are accurate and 100% mine. Related Are All Calories Are Created Equal?